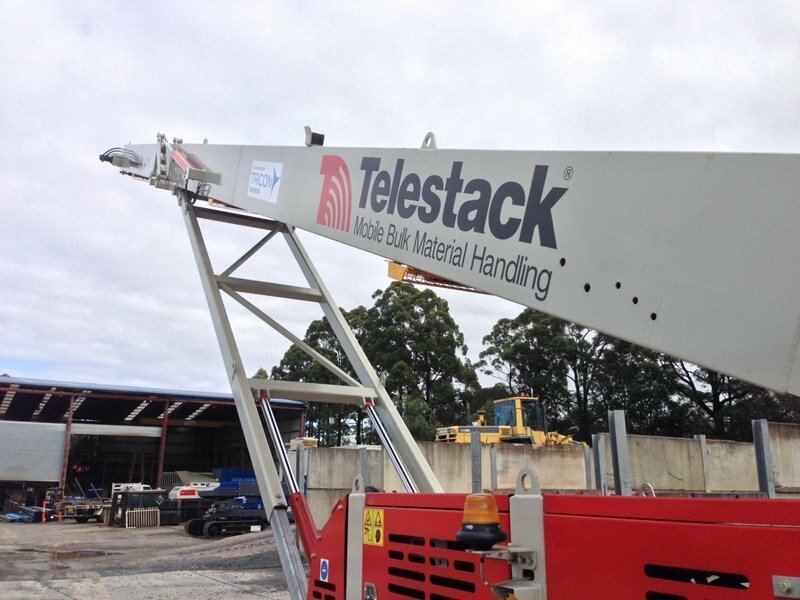 The Telestack TC 424X Tracked Conveyor is one of the most versatile and useful stockpilers in the sector. The conveyor has helped thousands of mining and quarrying operations to literally move mountains. When one of our valued clients faced the issue of stunted production capacity, OPS was called in to help out. This is how we did it. 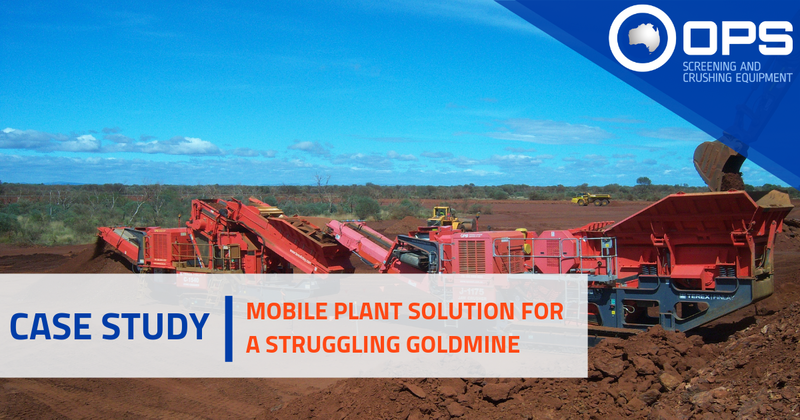 Our client wanted an increase in production volumes and a stockpile capacity of -20mm crushed product. Their existing stacker limited production to around 250-275TPH. They had a smaller, much older, non-Australian supported model of stacker onsite. This stockpiler unit struggled to maintain tonnage demand, while stockpile volume was insufficient. As a result, they required an extra stacker to pull material away from the created stockpile. 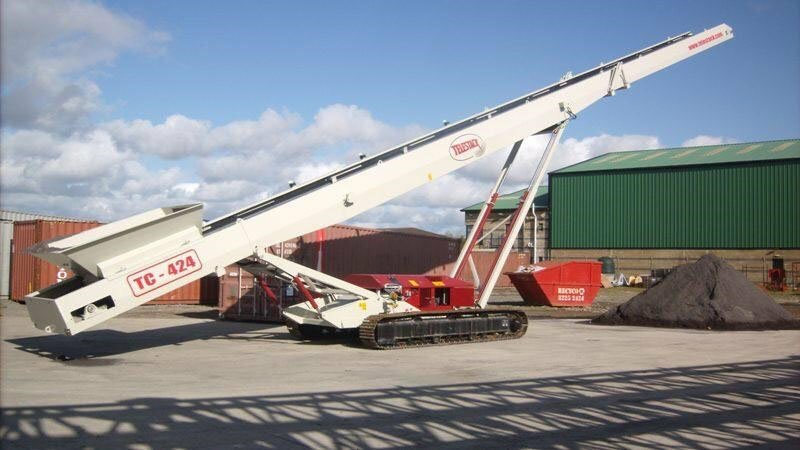 OPS supplied a brand new Telestack TC424X Tracked Conveyor. This new allowed our client to meet production quotas. This enabled our client to increase plant production. As a result of incorporating the Telestack Conveyor, production achieved tonnages of around 325-350TPH. Far more efficient than the previous stacker machine. 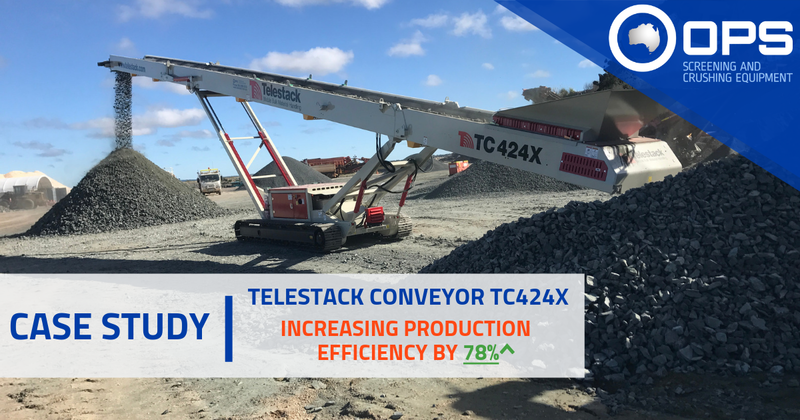 With the new TC424X on site, production capacity increased by ~78% (up from 250-275TPH to 325-350TPH). 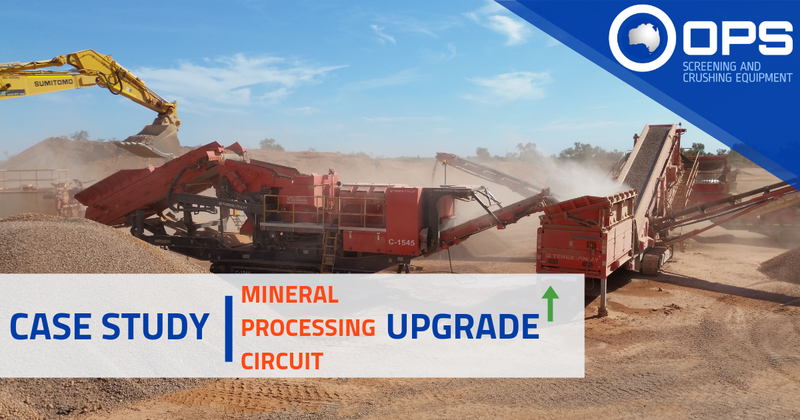 The higher stockpile volume also allowed for more material crushing, without the need to move around. This meant less reliance on the conveyor to move material around. 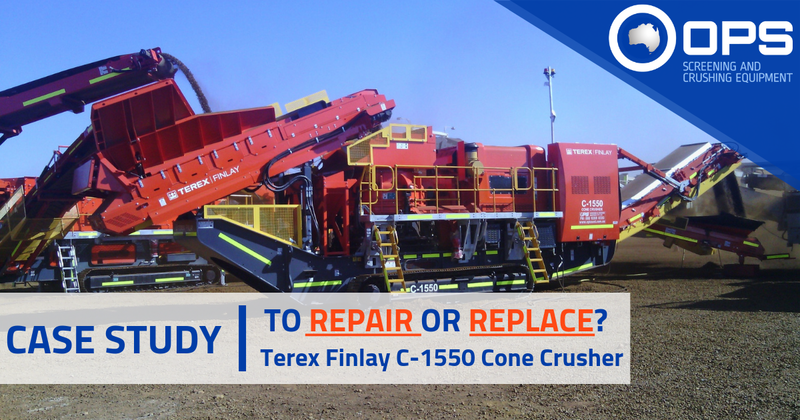 The increase to production levels meant more efficient usage of the cone crusher. Higher stockpiles also meant the loader tailing out does not have to work as hard to keep up meaning a decrease in fuel and wear and tear on the GET. At OPS we pride ourselves on helping clients increase the value of their operations. – We’ve recently saved a client nearly $1M by repairing their machine instead of replacing it.